"Flag as inapproriate". This unconspicuous button with a flag icon appears underneath every single YouTube video we watch marking the limits of our freedom in the Internet. Once flagged by anonymous users, after being checked by the also anonymous YouTube team, a video quickly disappears forever. Pawel and Wawel gathers unique images and sounds from a journey through Iceland that position themselves between documentary gesture and performative strategy. 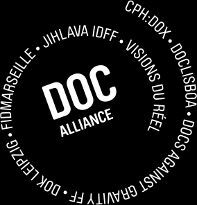 The starting point and anchor of this trans-genre diary film, road movie, documentary film project, is the film festival initiated by Krzystof Kaczmarek “What`s the difference between Pawel and Wawel,” which more or less unsuccessfully tours the island with Polish classics. Vratislav Brabenec, a poet, musician, and gardener is the centre stage of a baroque western, an all embracing documentary film depicting a play while the play becomes a documentary: there are no limits to the human creativity, and thus it is possible for speculations about plans for a garden and misty poeticism about the train of love to stand at the same level with a theatre performance, which makes the film a blend of sensuality and metaphysical anxiety, thirst for life and the demonia of death and doom. An inconspicuous row of trees and some bushes, somewhere on a riverbank on the edge of the Danube Delta. Time seems to have stood still here. In the minor events that then emerge, we see an unexpected coherence. The animals that have found their homes here and seem condemned to each other, the tired fishermen who chug up in their boat and disrupt the peace and the crumbling material in general all acquire a glowing cinematographic meaning. A testimony on a pipeline damage incident, theft and two official records from one police station in the Prague city centre, disturbing the peaceful Christmas spirit during which blood is drained. The Tomáš Baťa Monument, designed by architect František Lydie Gahura well-known for his designs in the city of Zlín commissioned by Tomáš Baťa, is one of the masterpieces of Zlín’s functionalism. It is currently closed. What will happen to it in five years? The story of Milda and his pack, love for music and a little experiment. Documentary as a time machine trying to link two diametrically different eras of a corner pub on Řezáčovo Square. In the year 2013 we experienced an unique moment in our modern history: for the first time ever, Czechs were choosing their president through direct elections. A master class with the well-known Russian director Sergei Loznitsa, the creator of award-winning documentaries and feature films. Two men are walking in the big city at night. They are having the kind of conversation that only lost souls can have. A documentary film about a Czech minority living in Romania. The film was made in 1981 - 1983 during the totalitarian regime of Nicolae Caucescu. Portrait of a generation where marriage was “until death do us apart”, and a time of misery and oppression marked by the inheritance of the Spanish Civil War. What is peace? What is coexistence? And what are the bases for them? PORTRAIT OF A MAN is a rough but beautiful documentary film about the crisis of a man in his forties and his desire for a better life; its a story of parenthood, alcohol, Finnish man and his desire for love.